My last speech at the Pathways Level I module is about dogs. The goal was to prepare and deliver a well-researched speech, quoting sources and including statistics. This speech was delivered 1/24/2018 at Toastmasters Downtown Bakersfield. Americans love their dogs! 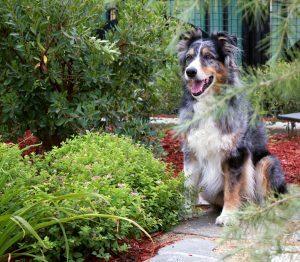 From Lassie to Rin Tin Tin to Spuds McKenzie, the dog is man’s best friend. There are an estimated 78 million dogs owned in the US according to the American Pet Products Assn. Nearly 48% of all US households own a dog. But, let me ask you this, are we their best friend? One of my goals in retirement is donating time to worthy causes. When, in late 2015, I heard Nick Cullen, the Director Kern County of Animal Services, declare he believed the County Shelters could reach No-Kill status by 2020, I decided to pitch in. Kern County Animal Shelter has an active roster of 40-50 volunteers who typically donate 10-30 hours a month performing basic animal care, helping with clinics, providing creature comforts, and assisting in grooming and socialization. As a volunteer, one generally starts at the bottom. With nearly 300 animals being housed at the Fruitvale Shelter, the bottom was washing dishes. After a couple of months of dishpan hands, I moved to socialization. One afternoon the Volunteer Coordinator asked me to meet the Director. “Return to Owner”, or RTO is the measure for how many dogs picked up as strays, were returned to their rightful owner. The County wanted to increase their dismal RTO and had learned of my experience working in social media. Nick Cullen challenged me to establish a program. In March 2016, my team of three volunteers launched the Kern Pet Detective. Our goal was to post to our Pet Detective Facebook Page, high-quality photos of the dogs that were classified as strays and brought to our shelter. 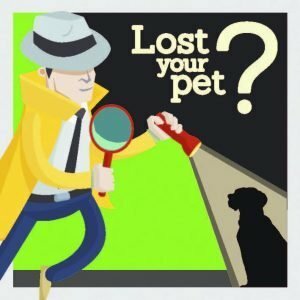 We felt with the proper use of social media, we could get word of lost dogs out to the public reaching as many as 20,000 people in the Kern County Area. Anyone looking for their dog on social media could do a quick scan of our page and see if their dog was at the Fruitvale Shelter. In researching this project I learned some very sobering facts. While no national organization is responsible for tabulating statistics, the American Pet Products Assn. estimates that 3.3 million dogs enter animal shelters every year. About 1.6 million are adopted by new owners. Nearly 670,000 dogs, or 20%, are euthanized. Nationally, only 620,000 are returned to their owners. Think about that for a moment. Of the total number of dogs brought into shelters, more are euthanized than returned to their owners. Now, it can be said that some people will just dump unwanted dogs and others through carelessness will let them run away. Some may no longer be able to afford them and simply turn them loose. But any way you look at it, far too many dogs have owners who aren’t looking to get them back. In our first year, the Pet Detective Program did make a difference. According to the Annual Report from Kern County Animal services the RTO in 2015 – the year before Pet Detective was established – was 6.9%. In 2016, after only 9 months in operation, the RTO increased to 8.6%. More importantly, there was a side effect no one had anticipated. The Pet Detective Page had grown to 2,500 “likes” and had a weekly reach of 20,000 page views -substantial numbers for a grassroots, community-oriented, volunteer-created social media page. Members of the community were exposed to photos of dogs they would not normally see. They were telling their friends, neighbors, and relatives about them. The adoption rate for the County Shelter increased from 26% in 2015 to over 36% in 2016. Not all of the increase can be attributed to the Pet Detectives, but we did do our part. Once a dog is brought into the Kern County Shelter as a stray, the County is obligated to hold it for 5 days. After that, it is moved to the adoption wing in the hopes a member of the public will adopt. Adoption is a good deal for the public. Three years ago I purchased a dog from a breeder for $200. Three visits to the veterinarian for shots, worming and a microchip set me back $150. Then, to have him neutered cost another $150. To top it off, I bought his county license for $60. Add that all up and it equals $560. When a member of the public adopts a County Shelter dog, they are neutered, have been chipped, vaccinated and licensed. The cost? Usually less than $50. Last week, our family adopted a year-old Queensland mix at a cost of $40. Libraries and animal services are the forgotten orphans of municipal governments. They are the first to suffer budget cuts when times get tough. When libraries get cut, we get fewer books. When animal services get cut, there are more animals on the streets. I was surprised how much County Animal Services relies on the community of volunteers, rescue groups, and foster families to reach their goal. Our local animal welfare groups are doing a good job. There’s still a lot more to do. Education about spay and neuter and the responsibility of pet ownership will continue to be the biggest challenges. With the help of a lot of dedicated people, who knows, maybe we can convince a nation of dogs that we deserve to be their best friend.